Fans lined up in Sylvan Lake, AB today to meet their favourite players prior to the 2014 Kraft Hockeyville game between the Arizona Coyotes and the Calgary Flames. 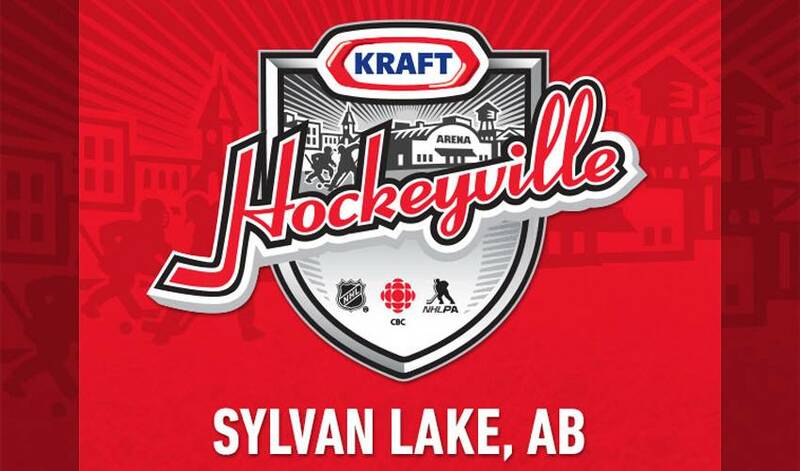 After months of anticipation, NHLPA members from the Arizona Coyotes and the Calgary Flames arrived in Sylvan Lake, Alberta today to kick off the game day festivities for Kraft Hockeyville 2014. Sylvan Lake, which beat out 15 other Canadian communities to be deemed Canada’s biggest hockey town in 2014, will host an NHL pre-season game of the nearby Calgary Flames and the Arizona Coyotes tonight at the Sylvan Lake Multiplex. The players arrived in the small town early this morning and were greeted by a large crowd of fans and community members. They took time to sign some autographs and pose for photos on their way into the arena, prior to their morning practice sessions. After their practices were over, two players from each team headed out to make several school visits in across the town to surprise local children. In its 8th year, Kraft Hockeyville is an award-winning program made possible by Kraft Foods/CBC-Rogers/NHL/NHLPA to bring a small town community a full day of NHL excitement it would otherwise never receive and to help support grassroots hockey by providing the community with the funds to make necessary arena upgrades. The puck drops tonight at 7:15pm EST. Be sure to tune into CBC for an exciting match-up in an arena full of some of Canada’s biggest hockey fans.